Motorcycle Accidents Category Archives — New Hampshire Legal Blog Published by New Hampshire Criminal Attorneys — Tenn And Tenn, P. A. Some of the dangers involved with riding a motorcycle may be clearer than others. Motorcyclists should, of course, be ever vigilant but they are unable to control every factor they may face while driving. Dangerous road conditions can creep up on a motorcycle driver in no time and it is an important part of motorcycle safety to review what types of hazardous roadways may be lurking. Some of the most dangerous roads in New Hampshire cannot be avoided or controlled by motorcyclists. 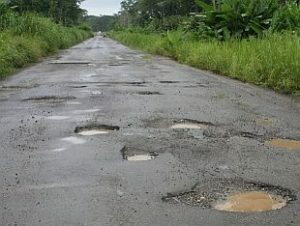 Often, roadways that become hazardous to motorcyclists may be due to construction, neglect to upkeep roadways causing potholes, and even inclement weather can turn a roadway dangerous. The New Hampshire Department of Motor Vehicles motorcycle safety training utilizes the Motorcycle Safety Foundation “Motorcycle Operator Manual” for New Hampshire motorcycle training courses. The manual outlines some of the most prominent dangerous roadway conditions for motorcycle operators. Which Motorcycles are the Riskiest to Ride? Despite what some people say about motorcycles, different models from different makers handle differently. While there usually is not very much separating one bike from another, there are several outliers that even experienced bikers admit are radically different. Often, these models were the first to incorporate some brand new technology or mechanical development, but the design was less than perfect and led to more motorcycle accidents than expected. Here are some of the riskiest motorcycle models that you can find on the road today. The Hayabusa was built to be a racing bike, and the 1999 GSX1300R model came before legal regulations prohibited motorcycle companies from making bikes that could go too fast. 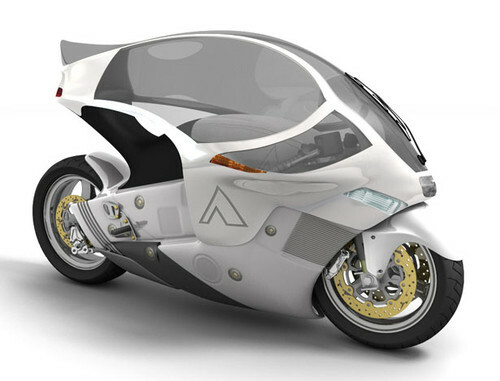 The result was a motorcycle that could go 195 miles per hour right off the dealer’s lot. Out of the 50 states in the U.S., there are only three that do not legally require motorcyclists to wear a helmet. New Hampshire is one of those three. 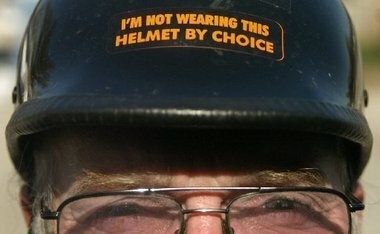 The issue of whether to require motorcyclists to wear a helmet is polarizing, especially in a state whose motto is Live Free or Die. However, the facts and statistics all support making helmets mandatory. Nevertheless, lawmakers in our state have firmly and repeatedly refused to pass a bill that would require bikers to wear a helmet, like in the rest of the country. The core of all of the arguments against a law requiring helmets on motorcyclists is that it infringes on their rights and freedoms. As adults, they should be able to choose whether to be safe and wear a helmet or “feel the open road” and go without one. Many people claim that, because their choice not to wear a helmet does not impact anyone else, the law should not dictate what they can or cannot do. Two motorcyclists killed in Augusta I-95 crash during charitable ride. 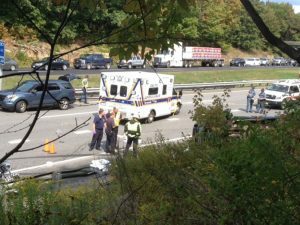 According to news reports from Augusta, Maine, two motorcyclists were killed Sunday afternoon while participating in a charitable ride for children’s toy donations. It was a major crash that resulted in the closure of the two northbound lanes of Interstate 95. According to the police, Jamie Gross, 58, of Belmont, died at the crash. Aaron White-Sevigny, 25, of Windsor, died at the hospital. They were riding their own motorcycles. At this time, State Troopers are investigating the cause of the accident. Apparently, a pick-up truck was involved in the crash, which occurred between Exit 112 and Exit 113, just as the United Bikers of Maine Toy Run had left the Augusta Civic Center on their annual charitable ride. The two motorcyclists who were killed were participating in the charity ride, along with several thousand other motorcyclists. Riding a motorcycle is a wonderfully exhilarating experience that stimulates your senses and provides a feeling of freedom and enjoyment. There are more motorcycles on the road today than ever before. According to statistics released by the Center for Disease Control (CDC) motorcycle use is at an all-time high in the United States. Unfortunately, with so many motorcycles on the roads today, a significant increase in motorcycle crashes and injuries has also occurred. Studies show that there has been a greater than 50% increase in motorcycle injuries over the 7 year period from 2001 to 2008. 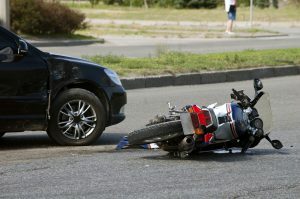 If a motorcyclist is injured due to the fault of another, they are entitled to receive compensation for their injuries. And if the injuries are severe and result in death, the victim’s family can recover compensation for the loss of their loved one. 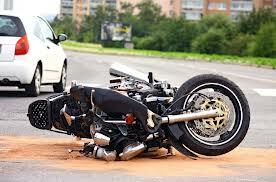 Motorcycle accidents are one of the most catastrophic experiences a person can undergo. Riding a motorcycle can feel incredibly liberating and freeing. Seasoned riders love the thrill and relaxation that comes with riding, but as any motorcyclist knows, the fun of riding is not without danger. A motorcycle is essentially an open air vehicle, and as such offers little protection in the even of a collision or vehicle accident. Motorcyclists take extra care to ride with their lives in mind, however, sometimes accidents happen, and sometimes, these accidents can be fatal. A recent study of the year 2015 has shown some alarming data regarding motorcycle accidents. In New Hampshire, deaths related to accidents involving motorcycles have risen 10% between 2014 and 2015, according to the data collected in the study. 2014 had a total of 4,548 accidents that resulted in death, while 2015 was estimated to have over 5,000 deadly motorcycle accidents, nationwide. New Hampshire in particular has seen a spike of motorcycle fatalities, with an increase from 17 fatalities in 2014 to 26 total fatalities in 2015. While it may seem like the death toll is relatively small compared the larger statistics nationwide, it is important to remember that New Hampshire is often seen as somewhat of a haven for motorcyclists. New Hampshire’s vivid scenery and long highways, along with special events each year dedicated to motorcycle enthusiasts make it a great destination for anyone who enjoys riding. Unfortunately, with such a large spike in deaths, motorcyclists will want to be on the watch for potential threats to their safety and well being. For a motorcyclist, cars on the road can be a very serious threat. 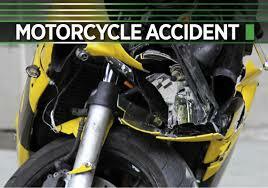 A motorcycle is an open air vehicle, exposing the rider to extreme injury, should an accident occur. Because of this both rider and driver alike must take extra precautions to avoid collisions. If an accident occurs, both drivers should remain on scene until help arrives. Unfortunately for one motorcyclist in Concord, this was not the case. Concord police are currently searching for the perpetrator of a serious vehicle accident. A hit and run occurred close to 5:30 pm this week past. A motorcyclist was struck by another driver on the road, driving a white car. The vehicle fled the scene shortly after. The motorcyclist was hospitalized with serious injuries, and the hit and run driver is still at large.